About ten years ago, my husband and I created a website called gravitybread.com. The website was named after an energy bread that I created called GravityBread. The bread was excellent however, we never advanced it to a sellable product. Since then, my love for baking has increased as well as my motivation to use language during mealtime. Recently, I decided to update this website to help parents use language during mealtime as well as share some favorite recipes of mine. Having my own personal struggles during mealtime with my two young children, I decided to venture on a new project to help my children and myself make mealtime more fun and educational. 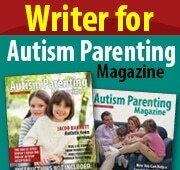 As a speech language pathologist, I felt the need to help other parents struggling with the same issues. As a working mom, I found it very challenging to cook, watch my children, keep them focused on their food and have a relaxing meal. Growing up, I had dinner every night with my family. Todays busy families don’t often eat together. The inherent design of Gravitybread helps create more valuable mealtimes for families. Research indicates that children who eat together with their families perform better in school, tend to be thinner, are healthier and have better communication skills. It gives families the opportunities to talk and have longer conversations. It also gives the opportunity to explore new foods and model appropriate behaviors, such as how to eat specific foods and how to sit during mealtime. The Power of Family Meals is a wonderful website that can be very useful for more information about eating together as a family. I also want to help parents explore food with their children in a fun and educational way as well as facilitate language. This can be done through books, toys, the computer and the iPad. I found that cooking and learning about food can be such a useful, functional and language enhancing experience. Being a “foodie” myself, I wanted to pass on this knowledge to my children so that they can enjoy, respect and love food the way that I do. My website is characterized by baking recipes, language during mealtime (which includes favorite books, toys and how to deal with challenging behaviors), apps and a special diet category. With each recommended food or language app, I discuss how to incorporate and target specific language goals when using the specific app. I also recommend my favorite books during mealtime. As a speech language pathologist, I know and understand the amazing benefits of reading books to your children. Reading to your children immensely helps their language, literacy and communication skills. With each book recommendation, is a description of the book, goals that can be targeted and some carryover activities. The books that I have listed on my website are the books that I have found to be useful for language, learning life lessons and improving mealtime with my family. I have also recently added a toys section so that parents can carryover these skills through symbolic play. I hope to continue building this website to help others use mealtime as a wonderful opportunity to bond with your children as well as making it a language enhancing experience!